Jesus had many enemies who wanted to be rid of him. Jesus knew that he had only a short time left. The Thursday before he died, Jesus invited the disciples to have supper with him. It was their last meal together. 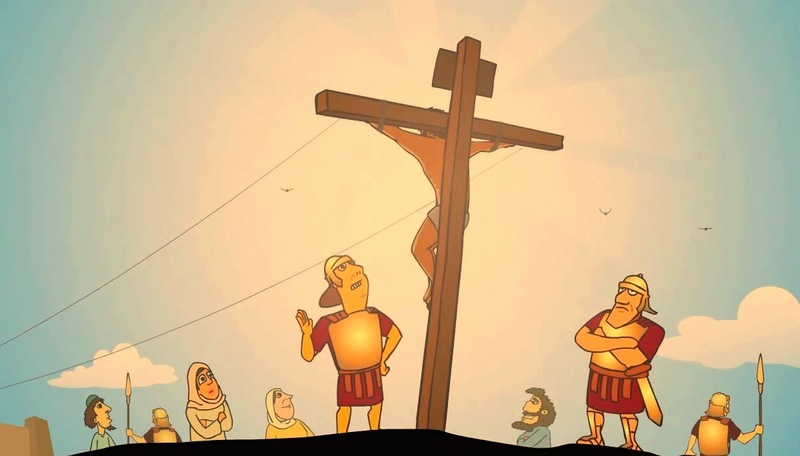 On Friday, soldiers arrested Jesus and nailed him to a cross. Jesus said to God: “Father, forgive them. They know not what they do.” When Jesus died, his friends placed his body in a cave and covered the cave entrance with a rock.